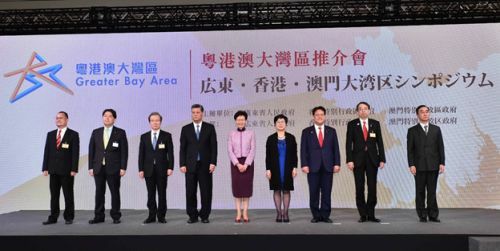 Hong Kong & Tokyo, Apr 9, 2019 - (ACN Newswire) - The Chief Executive of the Hong Kong Special Administrative Region, Mrs Carrie Lam, called on Japanese businesses to seize the unique business opportunities arising from the Guangdong-Hong Kong-Macao Greater Bay Area at a symposium jointly organised by the Hong Kong, Guangdong and Macao governments in Tokyo, Japan, today (April 9). Mrs Lam added that the Greater Bay Area is a new engine to propel the close ties between Hong Kong and Japan. Japan is Hong Kong's fourth largest merchandise trading partner and Hong Kong is Japan's eighth largest. About 1,400 Japanese companies currently operate in Hong Kong, and 47 per cent of them have regional headquarters or regional offices in the city. There were 2.2 million visitors from Hong Kong to Japan and 1.29 million from Japan to Hong Kong in 2018. She called on Japanese companies to leverage Hong Kong's platform to take advantage of the business opportunities in the Greater Bay Area.